The multicultural city of Kathmandu is the largest metropolitan city of Nepal. It is one of the most diverse cities in the world you can wish to go to. Therefore spending a day sightseeing in Kathmandu is something of a must-do. Kathmandu day tours are extremely popular with tourists. This short trip will give you a glimpse of the lifestyle, small towns, religion, architecture, and the beauty of this capital city of Nepal. The crowning religious and cultural jewels of Kathmandu are the UNESCO World Heritage Sites in this city. They include the famous Durbar Squares of Kathmandu. There are 3 such squares in this city which are Kathmandu Durbar Square, Patan Durbar Squares These squares are a congregation of aesthetic temples, residential areas of kings of yesteryears, and museums that contain historical artifacts. In addition, the UNESCO World Heritage Sites also include Buddhist temples by the name of Swayambhunath and Boudhanath Stupa. These stupas despite having a Buddhist origin see a large number of Hindus, Christians, and adherents of other faiths as well. They serve as a symbol of the long history of cultural harmony amongst a wide diversity of people in this city. 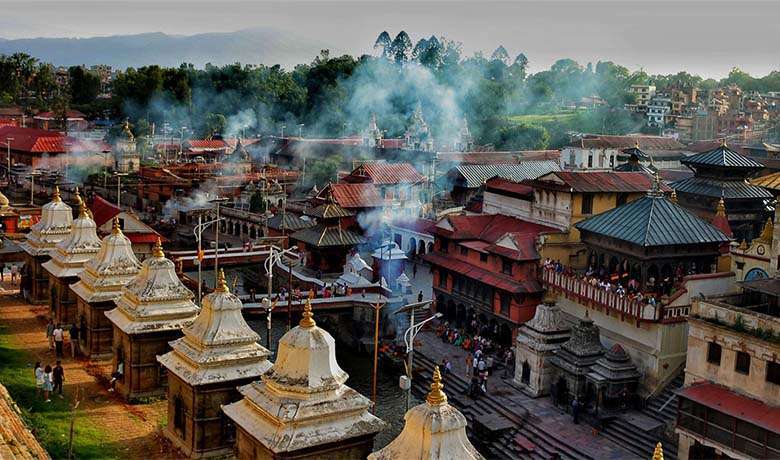 This 1 day Kathmandu day tour also includes a visit to the Pashupatinath temple- the temple that sees the greatest number of Hindu tourists on a religious site in Nepal. All of these fantastic monuments are a testimony to the ancient history of this place that dates back almost 2000 years. These sites also make for a great archeological and historical learning. That is why even students from across the world spend a day at these sites during their student tours. As all of these places are easily accessible from the Kathmandu airport or hotels in this city, the day tours are an integral part of anyone’s visit to Kathmandu. Apart from these places that you can see in Kathmandu in a day, there are small towns Kathmandu that you can visit in the Kathmandu city tour. The most popular of them being Thamel, which is a tourist destination with world-class restaurants, cafes, and eateries that have live music as well. Kathmandu, Patan, and Bhaktapur are three places that are home to Durbar Squares. All of these lie in separate districts but are in close proximity of each other. They are easily accessible in local or private transport. Kathmandu Durbar Square lies in the heart of Kathmandu. It is the site of Hanuman Dhoka, which was the official residence of the Nepalese kings until the 19th century. The oldest temples in this square date back more than five centuries ago. Some parts of this square underwent some damage in the 2015 Nepal earthquake. But the sites have been more or less re-established. Patan Durbar Square lies in the district of Lalitpur. It is an amazing area with sumptuous displays of Newari architecture in the religious temples and historical palaces. The most notable building in this square is Krishna Mandir, which was built in the 17th century. This place is especially crowded in Krishna Janmashtami- the birthday of Lord Krishna. Other notable places in this square are Bhimsen Temple, Vishwanath Temple, and Taleju Bhawani temple. Bhaktapur Durbar Square lies 13 kilometers from Kathmandu. There are four different squares inside the premises of Bhaktapur Durbar Square. These squares are Durbar Square, Taumadhi Square, Dattatreya Square, and Pottery Square. The most impressive of all the temples in Bhaktapur Durbar Square is Nyatapola Temple. It is the highest pagoda built in Nepal. The 55 window palace is another place of great architectural significance in Bhaktapur Durbar Square. This holy temple of Hindu lies along the banks of river Bagmati. The temple consists of not simply a solitary temple but a congregation of ashrams, stone inscriptions, and shrines that have been built over the past centuries. On the outskirts of the temple is Sleshmantak forest, where is it believed that Lord Shiva once took in the form of a deer. There are wonderful ceremonies that take place in the temple during the morning and the evening time. The temple also has a ceremony of cremation along the banks of Bagmati river. Boudhanath temple is located about 11 kilometers from the center of Kathmandu in a town called Boudha. It is one of the biggest stupas in the world. Owing to the presence of a large number of Tibetan refugees and the grand structure of this stupa, around 50 gompas have been constructed in Boudha. Swayambhunath stupa is a Buddhist temple that is perched in the top of a hill in Kathmandu valley. Buddha’s eyes have been painted on the stupa which stands a symbol of peace in the country. It dates back to around 5th century CE making it one of the oldest monuments in Nepal. Around the main stupa are various temples, a museum, a library, and a Tibetan monastery.